Ultra comfort insole made of foam that helps to reduce pain in your back, knees feet and muscles. Ultra comfort insole made of foam that helps to reduce pain in your back, knees feet and muscles. 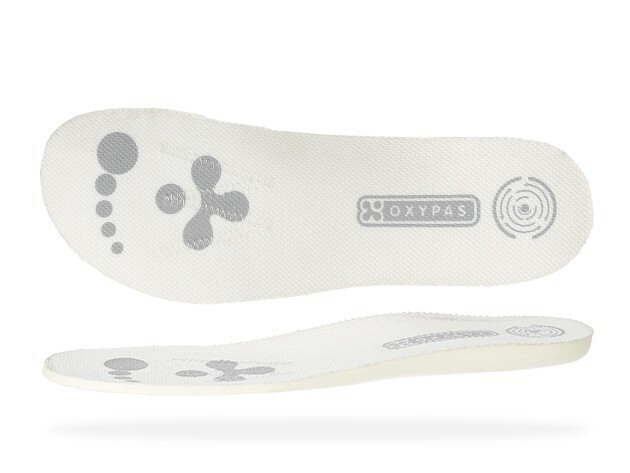 The insole fits Oxypas models: Move, Move Up, Medilogic and Ultralite. This comfortable Oxypas insole is available in 2 versions for sizes 36/37/38 and sizes 39/40/41. You can easily cut the insole to adjust to your feet shape.